The rear combination lamps are particularly eye-catching in that they protrude from the body to become functional aerodynamic devices. These curved fins help prevent airflow from wrapping around the rear of the vehicle and keep the whole car stable when driving in crosswinds and cornering. 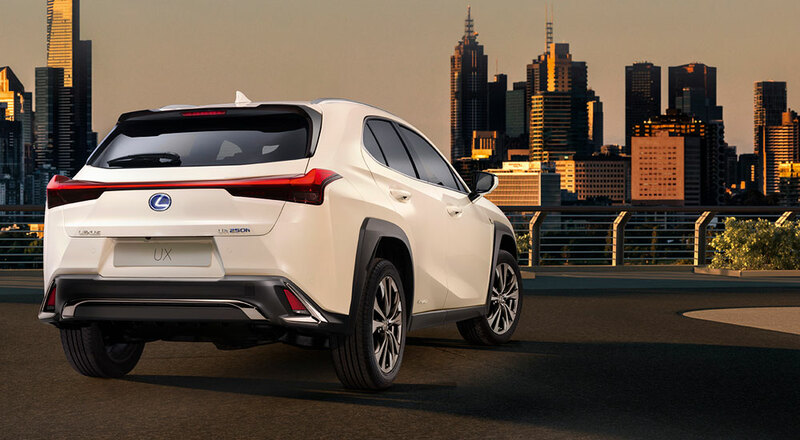 What’s more, the right and left units are connected by a continuous line of light across the back door – a design that is set to become a new Lexus signature feature. In this case it is formed by a sequence of 120 LEDs that taper gently toward the centre, measuring just three millimetres thick at its narrowest point. The original UX concept from 2016 foretold this design direction, and it was further advanced by this year’s LF-1 Limitless concept. Despite the usage of the “lightbar” trend across the automotive industry, the Lexus implementation works well and should fit across the SUV lineup at the very least. What’s your take? Yes or no to the Lexus lightbar?